Siemens Building Technologies Division is setting a further milestone in smart building solutions by acquiring Building Robotics Inc., a specialist in the fast-growing digital workplace experience app domain. 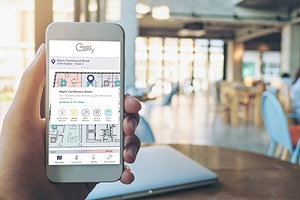 Headquartered in Oakland, California, the start-up achieved its leadership position by developing a simple-to-use app that enables people to take control of their environment. Building Robotics, Inc. is best known by the name of its core product, Comfy.